We continue our series on the best spa experiences across the UK with a look at what’s on offer in Scotland’s capital, Edinburgh. This exciting city combines historic charm, culture and a contemporary vibe. It also has plenty of great spa options. So, whether you’re a local or visitor, read on to discover the best spa experiences Edinburgh has to offer. Edinburgh is a bustling city that is a great destination for history buffs, culture vultures and anyone who enjoys spending time in a contemporary city with great shopping, eating and nightlife. A great base from which to explore the local area, golf fans, in particular, will be in heaven, as there are some great courses nearby. It’s also a terrific place to indulge in some first-class pampering. If you want to find out more about Edinburgh’s attractions, check out our city guide. If you want the very best of Edinburgh right on your doorstep, the stylish Radisson Blu Hotel certainly fits the bill. Located on the famous Royal Mile in Edinburgh’s old town, the hotel offers a great base for a city break. It also boasts the wonderful Melrose Spa & Health Club, with a range of indulgent spa day packages. 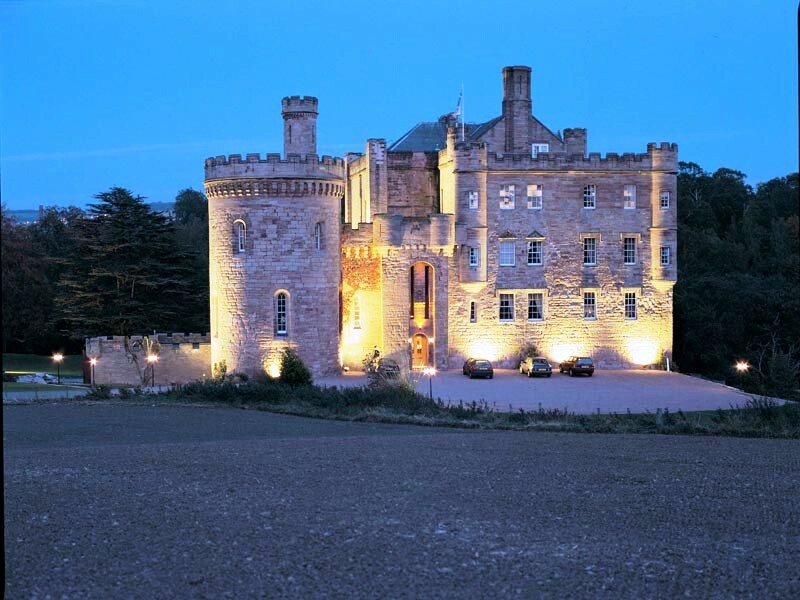 Located on the banks of the River Esk, a few miles from Edinburgh, Dalhousie Castle (pictured below) offers something extra special. Set in 11 acres of countryside, this stunning property provides a historic haven away from the bustle of the city. The hotel offers a range of pampering spa packages. PURE Spa Waterloo Place offers spa indulgence in the city centre, making it perfect for locals and visitors alike. The spa offers a range of pampering packages, including the Deluxe Spa Day, which features no less than four luxury treatments and lunch. If you want to enjoy some quality ‘me time’, the centrally-located Bannatyne Edinburgh features a range of spa packages that include treatments and use of the excellent leisure facilities. Packages include the Soothing Spa Day, which comes with three treatments, including a facial and relaxing back massage. Combining a relaxing hotel stay with a pampering spa experience, these breaks come with a night or two’s accommodation, some meals and a spa package. Inclusions vary, so be sure to ask us when you book what your chosen package features. Here are just a few of our favourite Edinburgh spa experiences. Ideally located close to the city centre, old town and public transports links, the Macdonald Holyrood Hotel offers a selection of one and two night spa breaks. These include the fabulous One Night Indulgent Spa Break for Two, which includes breakfast, dinner, two treatments and use of the leisure facilities. Combining tranquillity and convenience, Norton House Hotel is located close to Edinburgh’s airport and is within easy reach of local attractions. The hotel offers a range of luxury spa packages, including the One Night Classic Spa Break, which features two treatments, lunch, breakfast, use of the leisure facilities and a credit towards dinner. The next article in our series will focus on the best spa experiences you can find in the buzzing English city of Manchester. Ready to book your next spa experience? Contact our expert team today and ask about our latest spa offers.